Cordelia and her friends, Sophie and Regan, have been inseparable since they were 5 years old. Cordie has had a crush on Regan's big brother, Aiden, for almost as long, but she's long given up hope of him noticing her. When her father dies suddenly, Cordie discovers that he hadn't told her the whole truth about her mother. Trying to find out about the mother she never knew leads Cordie from Chicago to Sydney, but it seems that someone would rather she didn't find out anything about her mother's family, and they're willing to threaten her life to keep their secrets. With Cordie in danger, Aiden finds himself inexplicably protective of her, and, despite himself, he starts to see her as more than just his little sister's best friend. This is a light, easy read. There's nothing too demanding here, but it is a satisfying romance with several steamy scenes. 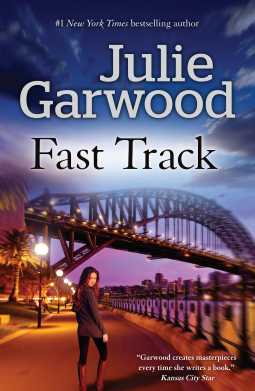 Given the cover, I was expecting Sydney to feature a bit more prominently, but the characters spend just a matter of days there, and beyond mentions of the Harbour Bridge and Opera House, it really could be set anywhere. Apparently this is part of a series of books featuring some of the other characters, but it works perfectly well as a stand alone. If you like your leading ladies smart and independent and your leading men strong and dominating, then it's well worth a read.